Huevos Rancheros are a classic mid-morning meal in rural Mexico. 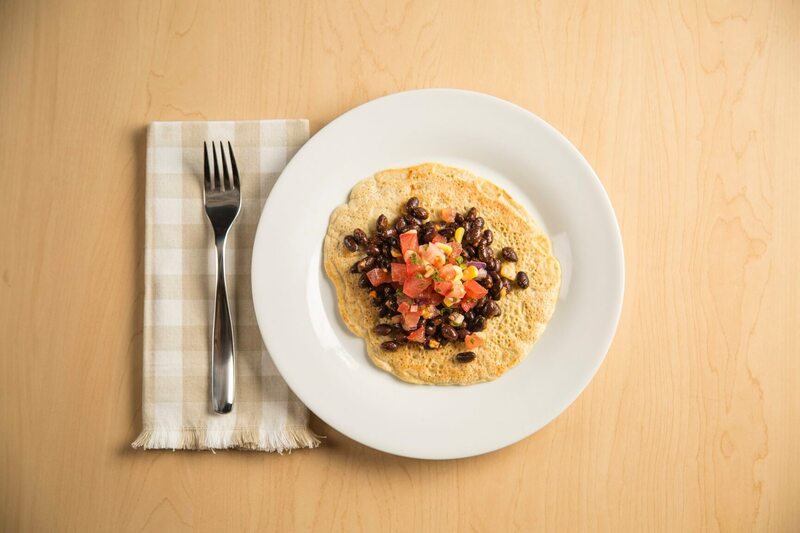 This vegan rendition features spicy black beans contrasted with a fresh, zesty pico de gallo. This breakfast is just packed with protein and vitamin C so you won't need to take your afternoon siesta to recharge. In a small saucepan, heat olive oil over medium-low. Fry garlic, add chilli, onion, cumin and chilli flakes. Heat for one min. Add black beans and cook until warm throughout. Cook Eggcitables according to direction and servings in an omelette form. In a small bowl, combine tomato, corn, red onion, green onion, and cilantro. Whisk lime juice, olive oil and hot sauce in a small bowl and pour over veggies. Toss until covering in dressing. 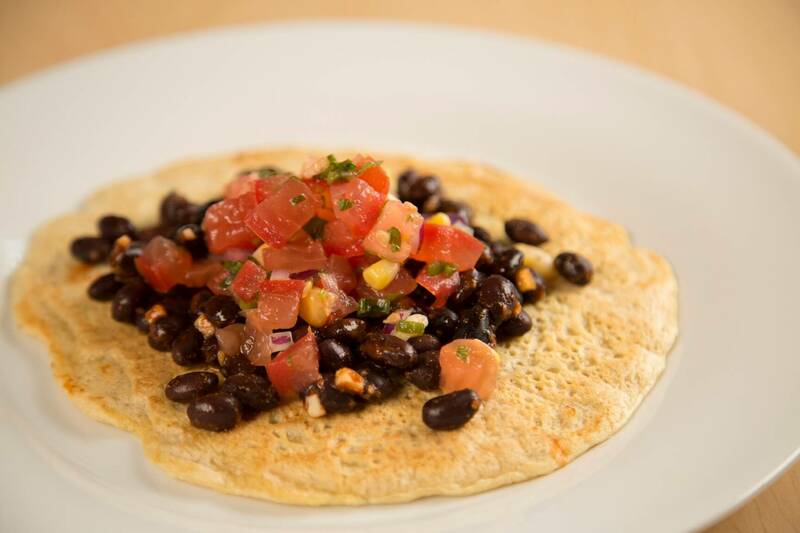 Spread black beans over Eggcitables omelette and top with salsa. Enjoy!